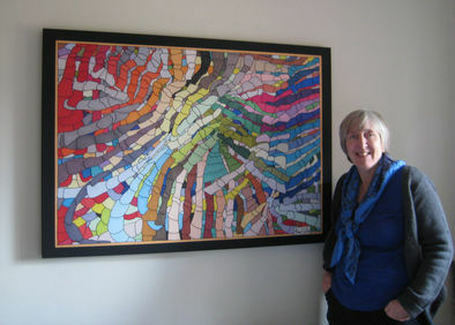 ​"The walls of our home were bland and sterile but now they look vibrant, colourful and warm. We were thinking of moving house but we've decided to stay now because the house looks so good! Excellent service - particularly the creative design and installation service - and really good value for money too. ​Highly recommended and we'll definitely be back for more!" ​"I have a canvas print of Michael's piece "Pebbles Together". I really enjoy looking at it. It's bright, uplifting, it stands out and it makes me smile. I also love the way all the shapes fit together. There's always something new to see in the picture and I never get bored of it - it also makes my rather old-fashioned home feel a lot more modern. Thank you." 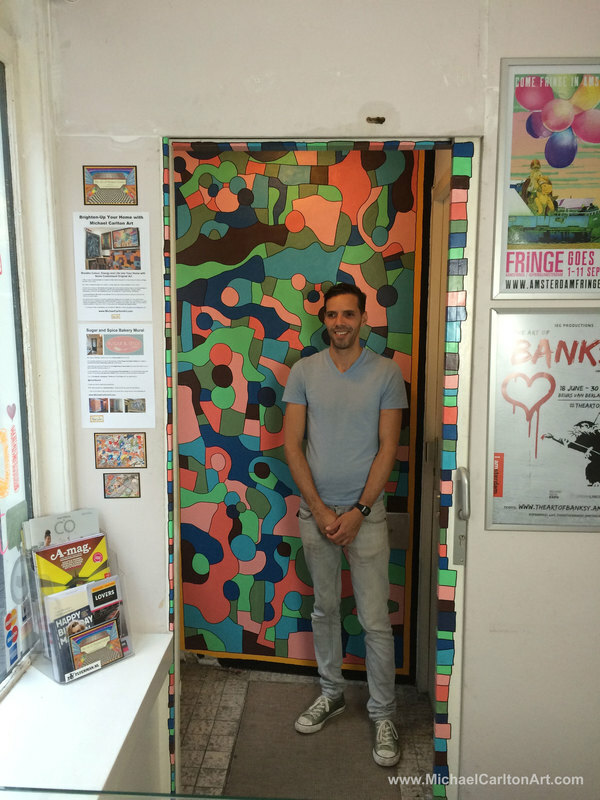 ​"Michael painted a mural in the doorway entrance to my business. 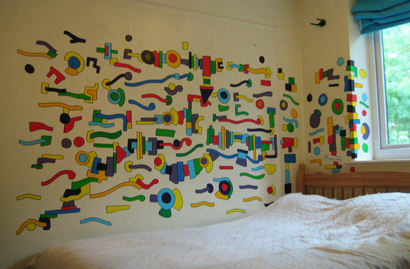 "I couldn't be happier with the mural Michael has painted in my room! The colours are so bright and vibrant, it fills the room with positivity and delights all who set eyes on it. 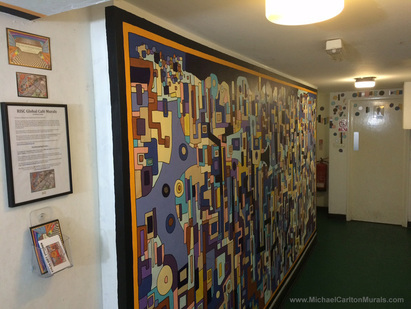 I am a guitar teacher and my pupils often comment on how much they like the mural too. The work has definitely exceeded my already high expectations!" 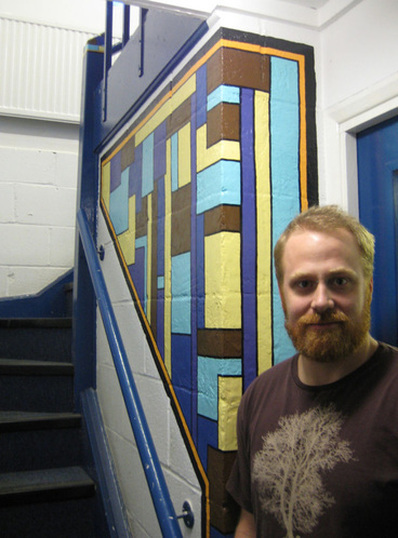 "We commissioned Michael to paint a mural for the stairway entrance to our workspace. 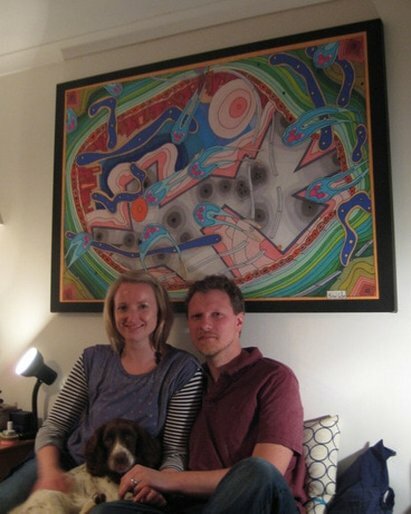 "We commissioned Michael to paint a mural for the stairway of our home. We really enjoyed working together to select the colour scheme and it was great to be part of the creative process like this! 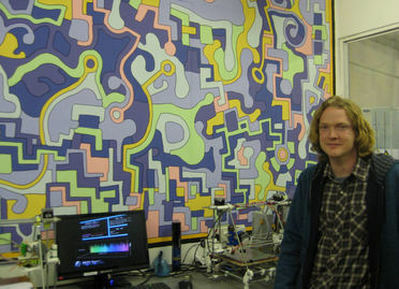 It was then wonderful to see the piece coming together day-by-day, and we're very happy with the finished painting. It's vivid, eye-catching and you can see so much in it. It brings a lot of colour to the place and makes the house feel bigger too. We love it - thank you!" "We commissioned Michael to paint the basement area of our bar and restaurant. 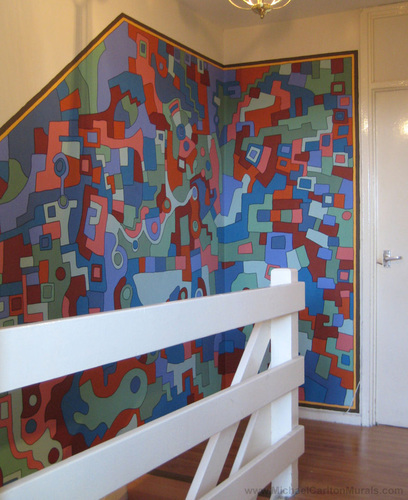 Michael painted a series of colourful and eye-catching murals and they've really brought the whole place to life.